"Bhaktivedanta" redirects here. For the college under same name, see Bhaktivedanta College. Abhaya Caranāravinda Bhaktivedānta Svāmi (born Abhay Charan De; 1 September 1896 – 14 November 1977) was an Indian spiritual teacher and the founder-preceptor of the International Society for Krishna Consciousness (ISKCON), commonly known as the "Hare Krishna Movement". Members of the ISKCON movement view Bhaktivedānta Swāmi as a representative and messenger of Krsna Caitanya. Born Abhay Charan De in Calcutta, he was educated at the Scottish Church College in Calcutta. Before adopting the life of a novice renunciate (vanaprastha) in 1950, he was married with children and owned a small pharmaceutical business. In 1959 he took a vow of renunciation (sannyasa) and started writing commentaries on Vaishnava scriptures. In his later years, as a traveling Vaishnava monk, he became an influential communicator of Gaudiya Vaishnava theology to India and specifically to the West through his leadership of ISKCON, founded in 1966. As the founder of ISKCON, he "emerged as a major figure of the Western counterculture, initiating thousands of young Americans." He received criticism from anti-cult groups, as well as a favorable welcome from religious scholars such as J. Stillson Judah, Harvey Cox, Larry Shinn and Thomas Hopkins, who praised Bhaktivedānta Swāmi's translations and defended the group against distorted media images and misinterpretations. In respect to his achievements, religious leaders from other Gaudiya Vaishnava movements have also given him credit. He has been described as a charismatic leader, in the sense used by sociologist Max Weber, as he was successful in acquiring followers in the United States, Europe, India and elsewhere. His mission was to propagate, throughout the world, Gaudiya Vaishnavism, a school of Vaishnavite Hinduism that had been taught to him by his guru, Bhaktisiddhanta Sarasvati. After his death in 1977, ISKCON, the society he founded based on a type of Hindu Krishnaism using the Bhagavata Purana as a central scripture, continued to grow. In February 2014, ISKCON's news agency reported reaching a milestone of distributing over half a billion of his books since 1965. His translation of and commentary on the Bhagavad Gītā, titled Bhagavad-gītā As It Is, is considered by adherents of the ISKCON movement and many Vedic scholars as one of the finest literary works of Vaishnavism translated into the English Language. Born on 4 September 1896, the day after Janmastami, one of the most important Vaishnava holidays, in a humble house in the Tollygunge suburb of Calcutta in a Bengali Suvarna Banik family, he was named Abhay Charan, "one who is fearless, having taken shelter at Lord Krishna's feet." Since he was born on the day of Nandotsava ("the celebration of Nanda," Krishna's father, a traditional festival in honor of Krishna's birth) he was also called Nandulāl. His parents, "Sriman" Gour Mohan De and "Srimati" Rajani De, were devout Vaishnavas (devotees of Vishnu). In accordance with Bengali tradition, his mother had gone to the home of her parents for the delivery, and only a few days later Abhay returned with parents to his home at 6 Sitakanta Banerjee Lane, Kolkata 700005. He received a European-led education in the Scottish Church College, which was well reputed among Bengalis; many Vaishnava families sent their sons there. The professors, most of whom were Europeans, were known as sober, moral men, and it is believed that the students received a good education. The college was located in north Calcutta, near the De's family home on Harrison Road. During his years in the college, Abhay Charan De (অভয়চরণ দে) was a member of the English Society as well as that of the Sanskrit Society, and it has been suggested that his education provided him a foundation for his future leadership. He graduated in 1920 with majors in English, philosophy and economics. He rejected his diploma in response to Gandhi's independence movement. At 22 years of age he married Radharani Devi, who was then 11 years old, in a marriage arranged by their parents. At 14, she gave birth to Abhay's first son. Under the circumstances since 1936 up to now, I was simply speculating whether I shall venture this difficult task and that without any means and capacity; but as none have discouraged me, I have now taken courage to take up the work. In 1947, the Gaudiya Vaishnava Society recognised his scholarship with the title Bhaktivedanta, (bhakti-vedānta) meaning "one who has realised that devotional service to the Supreme Lord is the end of all knowledge" (with the words Bhakti, indicating devotion and Vedanta indicating conclusive knowledge). His later well known name, Prabhupāda, is a Sanskrit title, literally meaning "he who has taken the shelter of the lotus feet of the Lord" where prabhu denotes "Lord", and pāda means "taking shelter." Also, "at whose feet masters sit". This name was used as a respectful form of address by his disciples from late 1967 early 1968 onwards. Previous to this, as with his early disciples, followers used to call him "Swamiji". From 1950 onwards, he lived at the medieval Radha-Damodar mandir in the holy town of Vrindavan, where he began his commentary and translation work of the Sanskrit work Bhagavata Purana. Of all notable Vrindavana's temples, the Radha-Damodara mandir had at the time the largest collection of various copies of the original writings of the Six Gosvamis and their followers – more than two thousand separate manuscripts, many of them three hundred, some even four hundred years old. His guru, Bhaktisiddhanta Sarasvati Thakura, had always encouraged him to print books, and beholding his spiritual master, Abhay felt the words deeply enter his own life – "If you ever get money, print books." referring to the need of literary presentation of the Vaishnava culture. The Gaudiya Matha at Allahabad, Uttar Pradesh was where he lived, wrote and studied, edited the Gauḍīya Patrikā magazine and where he donated the idol (murti) of Chaitanya Mahaprabhu which stands on the altar beside those of Radha Krishna (named Śrī Śrī Rādhā Vinodavihārījī). During his visit in September 1959 he entered the doors of this matha dressed in white, as Abhoy Babu, but would be leaving dressed in saffron, a Vaishnava renunciate (sannyasi). He took his renunciate vows from his friend and godbrother Bhakti Prajnana Keshava. On becoming a sannyasa he also took the prenominal Swami (स्वामी Svāmī). He single-handedly published the first three volumes covering seventeen chapters of the first book of Bhagavata Purana, filling three volumes of four hundred pages, each with a detailed commentary. The introduction to the first volume was a biographical sketch of Caitanya Mahāprabhu. He then left India, obtaining free passage on a freighter called the Jaladuta, with the aim and a hope of fulfilling his spiritual master's instruction to spread the message of Caitanya Mahaprabhu around the world. In his possession were a suitcase, an umbrella, a supply of dry cereal, about eight dollars worth of Indian currency, and several boxes of books. A message from Jaladuta Diary Journal kept by Prabhupada. Between 25 August 1965 and 30 August 1965, the Jaladuta Journal falls silent for six days. On the seventh day, 31 August, the silence is broken with these simple words, "Passed over a great crisis on the struggle for life and death." When he sailed to the United States in 1965, his trip was not sponsored by any religious organization, nor was he met upon arrival by a group of loyal followers. As the Indian freighter Jaladuta neared his destination, the magnitude of his intended task weighed on him. On 13 September he wrote in his diary, "Today I have disclosed my mind to my companion, Lord Sri Krishna." On this occasion and on a number of others, he called on Krishna for help in his native Bengali. Examining these compositions, academics regard them as "intimate records of his prayerful preparation for what lay ahead" and a view on "how Bhaktivedanta Swami understood his own identity and mission." I do not know why You have brought me here. Now You can do whatever You like with me. But I guess You have some business here, otherwise why would You bring me to this terrible place? How will I make them understand this message of Krishna consciousness? I am very unfortunate, unqualified and most fallen. Therefore I am seeking Your benediction so that I can convince them, for I am powerless to do so on my own. By journeying to the United States, he was attempting to fulfil the wish of his guru, possible only by the grace of "his dear Lord Krishna". It was in July 1966 that he brought "global missionary Vaishnavism" to the Western world, founding the International Society for Krishna Consciousness (ISKCON) in New York City. He spent much of the last decade of his life setting up the institution. Since he was the Society's leader, his personality and management were responsible for much of ISKCON's growth and the reach of his mission. When it was suggested to him at the time of founding the ISKCON in 1966 that a broader term "God Consciousness" would be preferable to "Krishna Consciousness" in the title, he rejected this recommendation, suggesting that the name Krishna includes all other forms and concepts of God. After a group of devotees and a temple had been established in New York another centre was started in San Francisco in 1967. From there he travelled throughout America with his disciples, popularizing the movement through street chanting (sankirtana), book distribution and public speeches. Once ISKCON was more established in there, a small number of devotees from the San Francisco temple were sent to London, England where they came into contact with The Beatles. George Harrison took the greatest interest, spending a significant time speaking with him and producing a record with members of the later London Radha Krsna Temple. Over the following years his continuing leadership role took him around the world some several times setting up temples and communities on other continents. By the time of his death in Vrindavan in 1977, ISKCON had become an internationally known expression of Vaishnavism. initiated many disciples, awarding sannyasa initiations. Through his mission, he followed and communicated the teachings of Chaitanya Mahaprabhu and introduced bhakti yoga to an international audience. Within Gaudiya Vaishnavism this was viewed as the fulfilment of a long time mission to introduce Caitanya Mahaprabhu's teachings to the world. In his discussion with historian Arnold J. Toynbee in London, he is quoted as saying: "I have started this Krishna Conscious Movement among the Indians and Americans and for the next ten thousand years it will increase." According to the most recent issue of Back to Godhead magazine, founded by Prabhupada, there are presently over 400 temples and farm communities listed to visit. The magazine lists only the major centres, there are many more homes turned temple that hold programs as well that aren't close by regular temples (Back to Godhead). Prabhupada's initiated disciples and grand disciples number in the tens or hundreds of thousands, while millions of believers who accept his teachings as genuine and bona-fide throughout the world. Prabhupada on a morning walk with Karlfried Graf Dürckheim in Frankfurt in June 1974. Bhaktivedanta Swami died on 14 November 1977 in Vrindavan, India; his burial remains in Krishna Balaram Mandir in Vrindavan India. It is believed that Bhaktivedanta Swami's most significant contribution are his books. Within the final twelve years of his life Bhaktivedanta Swami translated over sixty volumes of classic Vedic scriptures (such as the Bhagavad Gita, Chaitanya Charitamritaand the Srimad Bhagavatam) into the English language. For their authority, depth, and clarity, his books have won praise from professors at colleges and universities like Harvard, Oxford, Cornell, Columbia, Syracuse, Oberlin, and Edinburgh, and his Bhagavad-gītā As It Is was published by Macmillan Publishers, in 1968 and unabridged edition in 1972, and is now available in over sixty languages around the world and some other books by Bhaktivedanta Swami are available in over eighty different languages. In February 2014, ISKCON's news agency reported to have reached a milestone of distributing over half a billion books authored by Bhaktivedanta Swami Prabhupada, since 1965. The Bhaktivedanta Book Trust was established in 1972 to publish his works, and it has also published his multi-volume biography, Srila Prabhupada-lilamrta, that according to Larry Shinn will "certainly be one of the most complete records of the life and work of any modern religious figure". Prabhupada reminded his devotees before his death that he would live forever in his books, and through them would remain present as a spiritual master or guru. Bhaktivedanta Swami had instilled in his followers an understanding of the importance of writing and publishing not only with regard to his works, but also their own initiatives. His early disciples felt Prabhupada had given them Back To Godhead for their own writings from the very start. Making these Vaisnava texts available is one of Srila Prabhupada's greatest contributions. Apart from the masses, his books have also reached well into academic circles and have spurred academic interest in the Chaitanya tradition ... The significance of making these texts available is not merely academic or cultural; it is spiritual. Other typical expressions present a different perspective, where he would point out that "today I may be a Hindu, but tomorrow I may become a Christian or Muslim. In this way faiths can be changed, but dharma is a natural sequence, a natural occupation or a connection and it can not be changed, because it is permanent, according to him." While the ISKCON theology of personal god is close to Christian theology, both personal and monotheistic, being a preacher of bhakti and a missionary he sometimes would add, that "already many Christians have tasted the nectar of divine love of the holy name and are dancing with karatalas (hand-cymbals) and mridangas (drums)." His approach to modern knowledge is also seen in sectarian Orthodox Judaism, where the skills and technical knowledge of modernity are encouraged, but the values rejected. Bhaktivedanta Swami stated "devotees should not be lazy, idle...we are not afraid to work. Whatever our engagement is, by offering the result to Krishna we become Krishna conscious". Some of his representations are believed to affect women adversely and are male-centred, others are tender and celebratory. Bhaktivedanta Swami himself taught a dualism of body and soul and that of the genders. Similar to many traditional religions he considered sexuality and spirituality as conflicting opposites. Among some liberal male followers there is a positive recognition of his example in applying the spirit of the law according to time, place, person and circumstance, rather than literal tracing of the tradition. Beginning his public preaching mission in India, he founded the League of Devotees in Jhansi in 1953. Following the establishment of temples and centres in the United States and Europe, he returned to India in 1971, holding many public programs which were well attended. From 1971 onwards, the movement became increasingly popular and spread throughout India. He was particularly eager to see the progress at "the impressive temple project in" Mumbai which he and his disciples had fought very hard to establish, with large temples in Mayapur and Vrindavan to follow in the mid-1970s. To promote the vedic education system within the modern Indian education structure, he introduced a chain of Gurukul in various part of India. The Bhaktivedanta Gurukula and International School is one of the most successful schools in the list. In 1996, the Government of India recognized his accomplishments by issuing a commemorative stamp in his honour as a part of Prabhupada Centennial celebrations. If today the Bhagavad Gita is printed in millions of copies in scores of Indian languages and distributed in all nooks and corners of the world, the credit for this great sacred service goes chiefly to ISKCON. ... For this one accomplishment alone, Indians should be eternally grateful to the devoted spiritual army of Swami Prabhupada's followers. The voyage of Bhaktivedanta Swami Prabhupada to the United States in 1965 and the spectacular popularity his movement gained in a very short spell of twelve years must be regarded as one of the greatest spiritual events of the century. A number of memorial samadhis or shrines to Bhaktivedanta Swami were constructed by the members of ISKCON in his remembrance, the largest of which are in Mayapur, Vrindavan and at the larger sized temples in America. Prabhupada's Palace of Gold was designed and constructed by devotees of the New Vrindavan community and dedicated on 2 September 1979. Back in 1972 it was intended to be simply a residence for Bhaktivedanta Swami, but over time the plans evolved into an ornate marble and gold palace which is now visited by thousands of Hindu pilgrims each year, visiting this centrepiece of the community strongly relying upon tourist trade. ^ a b Melton, John Gordon. "Hare Krishna". Encyclopædia Britannica. www.britannica.com. Archived from the original on 11 April 2008. Retrieved 9 April 2015. ^ a b "His Divine Grace A.C. Bhaktivedanta Swami Prabhupada - Prabhupada". prabhupada.krishna.com. ^ a b "Who is Srila Prabhupada?". ^ a b "Avatar Credentials by his Divine Grace A.C. Prabhupada". ^ Jones, Constance (2007). Encyclopedia of Hinduism. New York: Infobase Publishing. pp. 77–78. ISBN 0-8160-5458-4. ^ Paramadvaiti, Swami B. A. "Branches of the Gaudiya Math". www.vrindavan.org. Archived from the original on 4 July 2008. Retrieved 30 May 2008. ^ a b Smullen, Madhava (12 February 2014). "BBT Reaches Half a Billion Books Distributed Since 1965". ISKCON News. Retrieved 27 February 2014. ^ "Interview with Srila Prabhupada's Grand-Nephew - Sankarsan Prabhu". bvml.org. Retrieved 11 August 2017. ^ Eggenberger, D. 1989. Encyclopedia of World Biography: A to F.
^ "Srila Prabjupada's marriage". Retrieved 7 May 2018. ^ A. C. Bhaktivedanta Swami, Satsvarupa dasa Goswami (1998) The secrets of transcendental love, ISBN 0-89213-273-6, p. 73: "The spiritual harmony of knowledge and devotion is well expressed in the phrase bhakti-vedānta"
^ Aparna Chattopadhyay (2004). Pearls of Spiritual Wisdom. Pustak Mahal, India. p. 37. ISBN 81-223-0858-9. ^ Charles S. J. White (2004). A Catalogue of Vaishnava Literature on Microfilms in the Adyar Library. Delhi: Motilal Banarsidass. ISBN 81-208-2067-3. ^ Mukherjee, T.; Wright, J.C. (1979). "An early testamentary document in Sanskrit". Bulletin of the School of Oriental and African Studies, University of London. 42 (2): 297–320. doi:10.1017/S0041977X00145859. JSTOR 615020. ^ Goswami 2002, Vol.1 Chapter 4 "Āmār icchā chila kichu bai karānā: "Standing by Rādhā-kuṇḍa and beholding his spiritual master, Abhay felt the words deeply enter his own life – "If you ever get money, print books." ^ Knott 1997, "Bhaktivedanta Swami, by journeying to America, was attempting to fulfill the wish of his guru, possible only by the grace of his dear Lord Krishna." ^ a b c d e Smith, David Nichol (2003). Hinduism and modernity. Cambridge, Massachusetts: Blackwell Pub. p. 178. ISBN 0-631-20862-3. ^ "Babaji initiation, Chicago, July 11, 1975". prabhupadabooks.com. Retrieved 19 October 2008. ^ a b c d "The matrix of principal published translated works. Bhaktivedanta Book Trust offers a 2006 summary PDF file showing which books translated in which languages" (PDF). www.krishna.com. Archived from the original (PDF) on 28 May 2008. Retrieved 30 May 2008. ^ a b Shinn & Bromley 1987, p. 124 now a tourist attraction. "New Vrindavan in West Virginia, on the other hand, is a close-knit community, has a strong sense of common purpose." ^ "Bhaktivedanta VedaBase Online". vedabase.com. ^ Maharaja, Sridhar. "Branches of the Gaudiya Math". www.vrindavan.org. Archived from the original on 4 July 2008. Retrieved 30 May 2008. ^ "Scholars reviews of Srila Prabhupada's books". www.acbspn.com. Archived from the original on 15 May 2008. Retrieved 31 May 2008. ^ "Summary, Academic reviews of Srimad-Bhagavatam". www.krishna.com. Retrieved 31 May 2008. ^ Bhaktivedanta Swami, A. C. (1968). The Bhagavad-gita As It Is, first edition. New York: Macmillan. ^ Rosen, S. "The Macmillan Miracle". www.krishna.com. Archived from the original on 6 June 2008. Retrieved 2 June 2008. ^ "Centennial 1996 Events". afn.org. Archived from the original on 6 July 2008. Retrieved 31 May 2008. ^ "Prabhupada's Palace of Gold". www.palaceofgold.com. Archived from the original on 14 June 2008. Retrieved 31 May 2008. 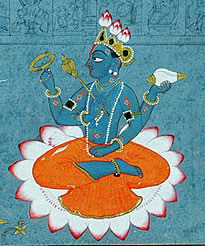 Goswami, Satsvarupa dasa (2002). Srila Prabhupada Lilamrta Vol 1–2 (2nd ed.). Los Angeles: Bhaktivedanta Book Trust. ISBN 0-89213-357-0. Ekstrand, Maria; Bryant, Edwin H. (2004). The Hare Krishna movement: the postcharismatic fate of a religious transplant. New York: Columbia University Press. ISBN 0-231-12256-X. Rhodes, Linda (2001). The challenge of the cults and new religions. Grand Rapids, Mich: Zondervan. ISBN 0-310-23217-1. Vasan, Mildred; Lewis, James P. (2005). Cults (contemporary world issues). Santa Barbara, Calif: ABC-CLIO. ISBN 1-85109-618-3. Cole, Richard; Dwayer, Graham (2007). The Hare Krishna movement: forty years of chant and change. London: I. B. Tauris. ISBN 1-84511-407-8. Goswami, Satsvarupa dasa (1984). Prabhupada: he built a house in which the whole world can live (abr ed.). Los Angeles: Bhaktivedanta Book Trust. ISBN 0-89213-133-0. Harvey Cox; Larry D. Shinn; Thomas J. Hopkins; A.L. Basham; Shrivatsa Goswami (1983). Gelberg, Steven J (ed.). Hare Krishna, Hare Krishna: five distinguished scholars on the Krishna movement in the West. New York: Grove Press. Klostermaier, Klaus K (2007). A survey of Hinduism (3rd ed.). New York: State University of New York Press. ISBN 0-7914-7081-4. Bhaktivedanta, A. C. (2003). The Science of self-realization. Los Angeles: Bhaktivedanta Book Trust. ISBN 91-7149-447-2. Shinn, Larry D (1987). Bromley, David G (ed.). "The future of an old man's vision. ISKCON in the twenty-first century". The Future of New Religious Movements: 123–140. ISBN 978-0-86554-238-9. Knott, Kim (1997). "Insider and outsider perceptions of Prabhupada". ISKCON Communications Journal: 5: 1. Knott, Kim (2005). "Insider/outsider perspectives in the study of religions". In Hinnells, John (ed.). The Routledge companion to the study of religion. Routledge. p. 243. ISBN 978-0-415-33311-5. Shinn, Larry D. (1987). The dark lord: cult images and the Hare Krishnas in America. Philadelphia: Westminster Press. ISBN 0-664-24170-0. OCLC 15017927. OL 2737873M. Goswami, Srivatsa; Dasa Goswami, Satsvarupa; Cox, Harvey; Hopkins, Thomas J.; Judah, J. Stillson (1983). "Review: Srila Prabhupada-Lilamrta". Journal of Asian Studies. 42 (4): 986–988. doi:10.2307/2054828. ISSN 0021-9118. JSTOR 2054828. Sharma, Jagdish Saran, ed. (1981). Encyclopaedia Indica. OCLC 8033900. OL 13760440M. Shinn, Larry D; Bromley, David G (1989). Krishna consciousness in the West. Lewisburg [Pa.]: Bucknell University Press. ISBN 0-8387-5144-X. This page was last edited on 22 April 2019, at 10:19 (UTC).